It is possible to find something positive despite all political turmoil around the world. The exchange rate drop since the Brexit referendum means that there huge savings particularly for $/£ if buying British goods in dollars. We are continuing to have a massive clear out/space making sale with everything reduced by 50% to take advantage of this situation. The reason for this is that we have sold the workhouse site. Now we are only renting the main building so we have less space for storing all the clothes that we have in the collection. And certainly it is not enough for all the costumes that we are making and accumulating from our film projects. To give some idea of the difference in prices, using today’s exchange rate, huge savings are shown. In August 2015 this coat would have been $3715. With the current company discount of 50% – plus the added bonus of the exchange rate being an all time low – for Americans paying in dollars this will be $1428. Now that is a huge saving isn’t it? Luxury velvet coat similar to one bought by Adele huge savings because of exchange rates. 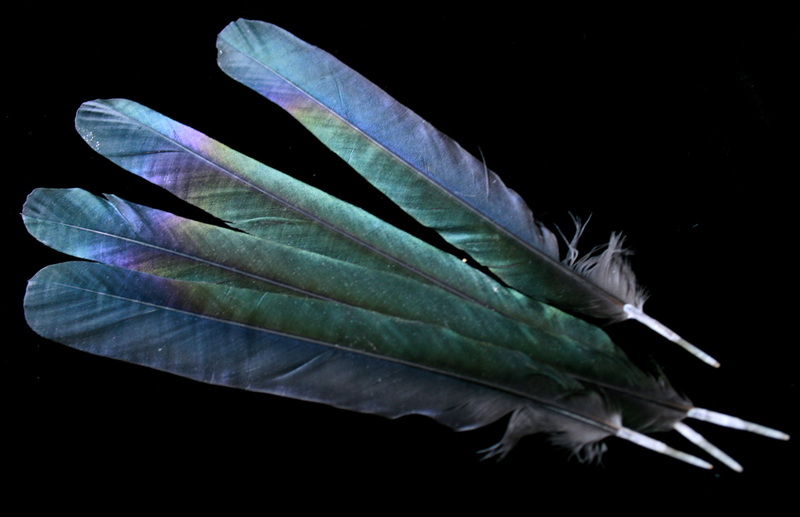 These feathers are the inspiration for the colouring of the coat. 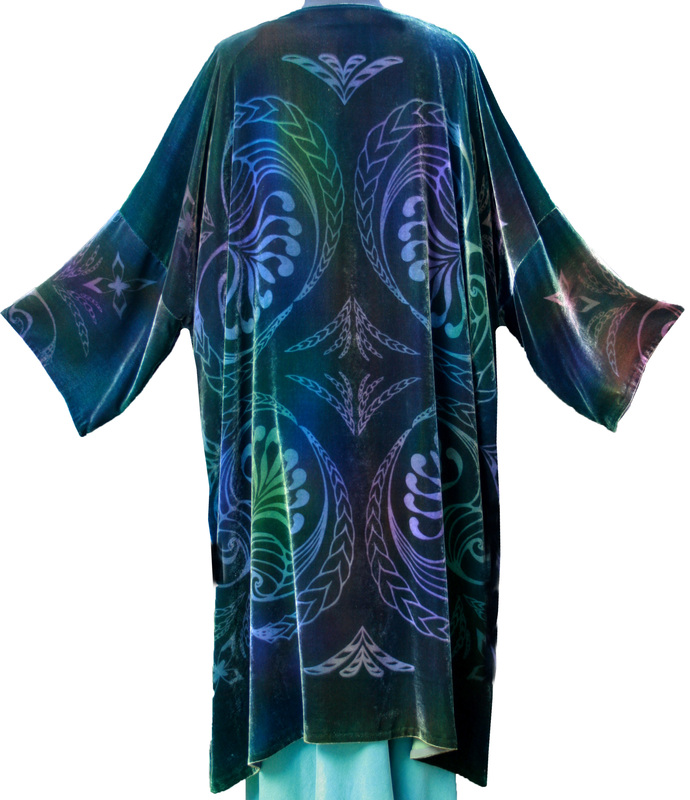 The one that Adele had was in our peacock colours and the print was devore. The on-line shop is being stocked up again with more things – including a scarf or two – perfect for a luxury gift and interior pieces. 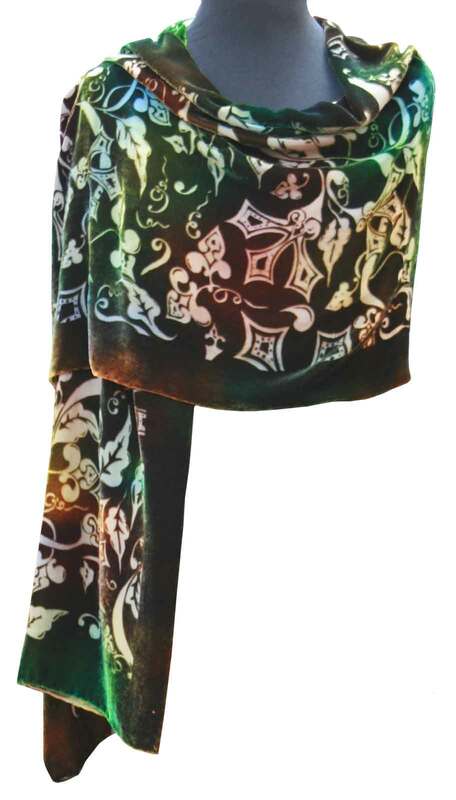 The price for the velvet scarves in 2015 would have been $294.4 – now with the 50% discount and taking into account the rate it is now only $114. 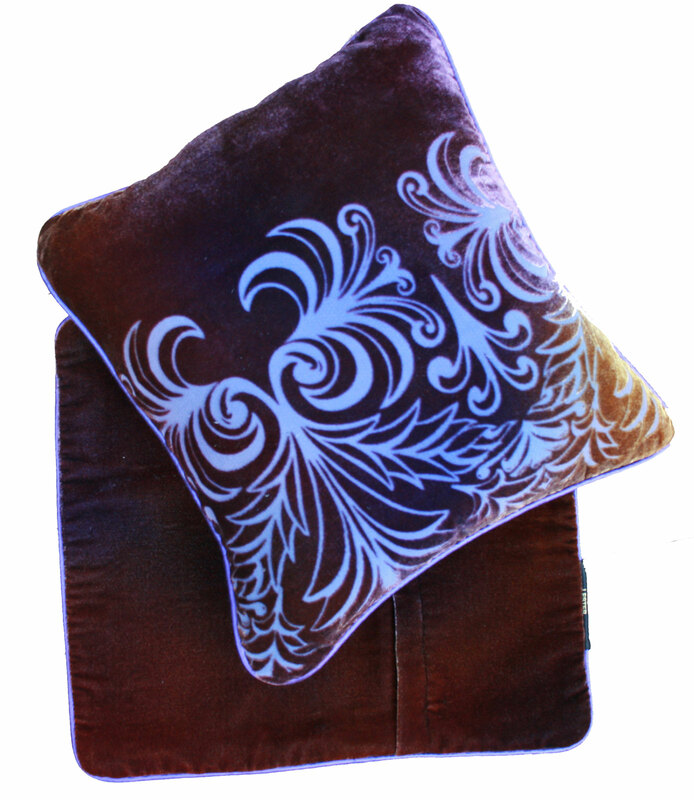 If we have to export cushions (pillows in American) – we will have to ship without fillings as we usually use feathers and we are not allowed to send feathers to America! And it makes a much bigger and more expensive parcel. If there is something that you have a passion to own and it does not seem to be on-line then give us a call and we will see what there is in the studio. We can then email pictures or hold a conversation about your ideas and choices. Our film projects are vague and varied! 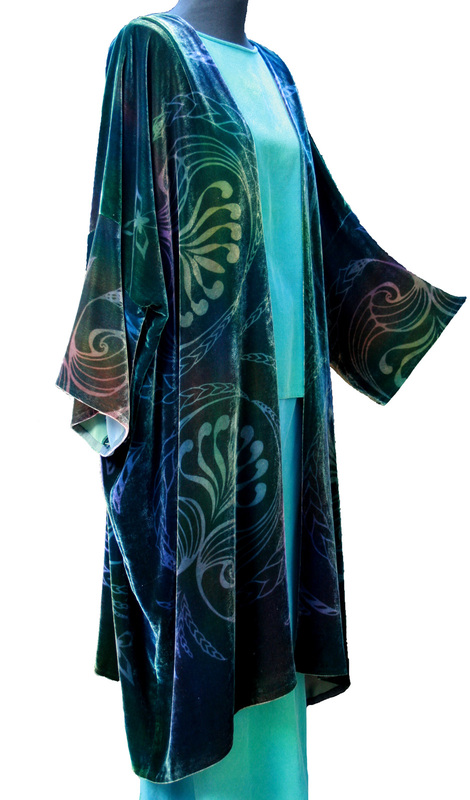 We had a little flurry potential for film costume textiles for a Disney film – nothing much came of this one, but there are a couple more in the wings. For this venture into doing more costume and textile work for films we created a new ‘look book’ – which we made rather large because we found that the variety of fabrics that we could create for film costumes and textiles is enormous. As a complete contrast we are letting out our house in Llansteffan as a film location for a 4 part series for Channel 4. The story line is very complicated and we cannot divulge it until it is made public. BUT what a challenge – our lovely new home is going to be completely changed to become an eastern Mediterranean home – in West Wales! Even the power points have to have dummy European ones placed over them to give a completely authentic look to the film location. We have had several groups of the production design team descend on us and swarm all over the house with their tablets and phones – fascinating and rather surreal. Now we have to wait and see how it all gets transformed.